This article was sponsored by StylemixThemes. Thank you for supporting the partners who make SitePoint possible. Sites like ThemeForest allow creators of WordPress themes to have a steady income, bringing in over half a billion dollars in revenue to their community of authors. But that revenue is not shared evenly. While some authors make millions, 76% of WordPress themes on ThemeForest earn under $1,000 per month (ThemeForest By the Numbers, 2016). So how do you stand out from the crowd? Let me introduce you to a team that learned how—StylemixThemes. How Do You Stand Out in the WordPress Crowd? StylemixThemes is a remote team of devs, designers and support gurus who started making WordPress themes in 2008, and decided to start selling them on ThemeForest two years later. It took time and grit, and they eventually found success. They became Power Elite authors by earning their first million in December 2016, and have earned another million in the last year. Never copy. Come up with something new and unique, and integrate that into your themes, plugins and products. Eat crow. Getting feedback on your work is difficult, but helpful, and review is an essential part of the ThemeForest submission process. Their first theme was rejected a number of times by the review team, but they learned from the experience, and that ultimately led to a better theme. ThemeForest reviewers didn’t like the design we submitted, they want to see high-level themes with a perfect UI, which can suit thousands of buyers. 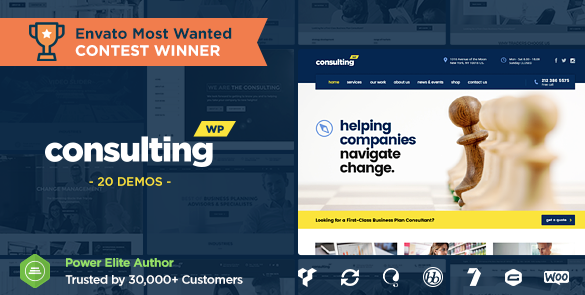 We realized that our mistake was that we tried to create a theme as a single website for a single customer. Market your themes. A combination of Google Adwords, banners and paid reviews have been successful for the team, but they continue to look for new marketing strategies. Stay hungry, stay foolish. Making a steady income from your current themes mustn’t stop you creating new features, themes and products. Keep creating, keep improving, and keep valuing and supporting your customers. And one final key lesson. They were inspired by a successful ThemeForest author, Chris Molitor, to start creating micro-niche themes. He looked for ThemeForest categories that didn’t have any themes. For example, Chris was the first author to make themes in the events, nightlife, churches, political and charities categories. He researched the unique features customers in each niche needed, and included them in his themes. He talked to real people about their real requirements. How does Chris stand out from the crowd? By not being generic. He doesn’t create themes for anybody—he creates them for somebody. His trademark is unique, functional themes for specific niche groups. Don’t say ‘anybody’ can use your services—be specific… Saying ‘everybody’ makes you think of ‘nobody’. I can see where StylemixThemes got their inspiration from. They, too, create quality micro-niche themes specifically tailored to each industry, each with its own special features. Here are a few examples. StylemixThemes isn’t shy. They clearly spell out to their customers that the theme is “based on in-depth research into the field of business, finance and consulting.” That’s good marketing. Then they make sure it includes additional functionality needed for business, finance and consulting, such as including the use of pie charts, graphs and progress bars, and a WooCommerce store. 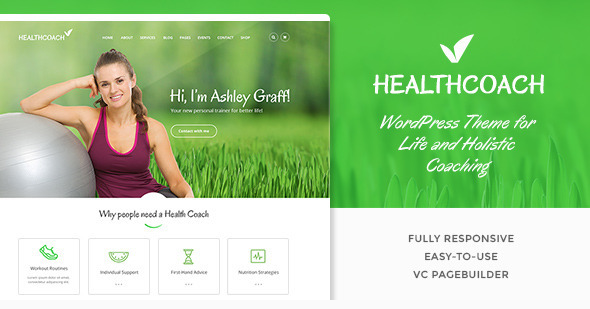 Again, they point out to their customers that a lot of thought went into the included features: “With growing popularity of Health Coaching and Healthy Lifestyle becoming more and more widespread, the niche really needs a theme which would provide everything a coach needs to present him/herself and his/her programme promoting better lifestyle.” So they include payment and booking integration. 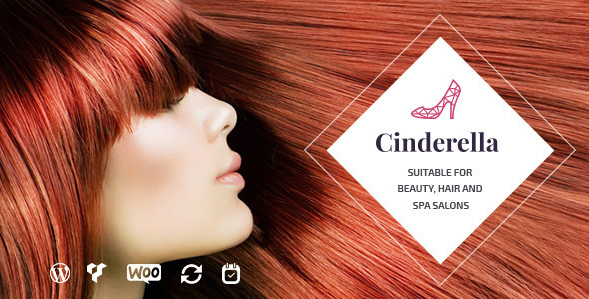 Here they include special features required for small businesses in the beauty industry (including networks of salons in multiple locations), like online booking, an advanced pricing module, and a WooCommerce store. With so much success with their micro-niche themes, StylemixThemes wanted to take it to the next level. So they took everything they learned, and combined it into a mega product. Pearl WP is a comprehensive bundle of niche themes—business, logistics, medical, restaurant, construction, charity, beauty, health coach, musical, rental, portfolio, church, personal blog, WooCommerce shop, startup, and viral—with more niches being added over time. So, while focussing on niche markets, they have also created a product that appeals to a wider audience. This is the first themes bundle to appear on ThemeForest, so they’re blazing their own trail here. Check out their promo video. The business and finance theme allows customers to make appointments online, simplifying your schedule management. The audio albums theme includes a music player that doesn’t stop when visitors browse the site. The restaurant theme includes three layout options to showcase your menu. The construction theme includes project templates to showcase your work. The charity theme has an inbuilt PayPal donation system. But this isn’t just a collection of separate themes. You can mix and match the features between each theme, and take advantage of 200 shortcodes and 250 page templates, to customize as needed. That’s a lot of functionality and versatility built into a single product, and will appeal to a wide audience. Another way to stand out from the crowd is by providing excellent documentation. That’s a job that can feel tedious to the developer, but is crucial to the end user. You don’t want to skimp here. A tutorial on construction projects. If you want to learn what it takes to create quality micro-niche themes, this bundle contains a complete education. Study the differences between each theme, and the special features added for each industry. Then take what you’ve learned and go create something unique. If you create websites for various industries, this single bundle might be the one resource you need. You can purchase a standard license for each new site that you create, or an extended license to cover them all. Or if you just need a website, you can get a Pearl WP site with setup and hosting for $16 a month. How do you stand out in the crowded WordPress ecosystem? Start with hard work and your own unique style, add effective marketing and helpful documentation, respond to peer review, and never stop pursuing fresh ideas. And look for opportunities that are less crowded— I’ll say it again, in niche markets. Have you had success creating niche WordPress themes? I’d love to hear about your experiences in the comments.